Drs. 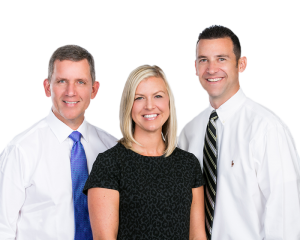 Rob Rodriguez, Shawn Ray, and Bailey Hammerberg are proud to be your partners in maintaining your oral health care needs. Our dentists were born and raised right here in Cedar Rapids. You can be sure that they have assembled the best team around to provide the quality care that you deserve. Premier Dental has become a leader in the community by carrying on the tradition of excellence that Dr. Roberto E. Rodriguez started in 1955. His son, Robert C. Rodriguez, acquired the practice in 1994 and is honored to be able to carry on his father’s great legacy. While primarily residing in Monterey, CA, the owner, Dr. Rob Rodriguez entrusts the practice to the capable hands of Drs. Ray and Hammerberg, and the amazing team established. Many thanks go out to the following dentists that also put their trust in us when they entered their retirement years: Dr. Warren Chadima, Dr. Mohamed Igram, Dr. Glen Miska and Dr. Adrian Rehak. Getting their stamp of approval has been a driving force in our constant effort to be our best. Your comments and suggestions are always encouraged. Your kind referrals are genuinely appreciated. Your trust means the world to us and we do not take that for granted. Thank you for visiting our website. We welcome the opportunity to be of further service. Click here to LIKE us on Face Book for chances to win great prizes throughout the year!